Nepean Group now distributes AGROWPLOW Soil Care Systems including their AgrowDrill drilling equipment and AgroPlow plow systems. These “Soil Care” products have been developed for improved, sustainable agriculture. The AgrowDrills available range from the 18R AD100 pasture drill and extends to the 32R JPC 2000 drill systems. All drilling equipment aims to maximise seeding versatility for pasture renovation, summer crops, cereals and legumes. These drills can also be customized to suit customer specifications. The AgrowPlow models range from the vineyard plow systems to the AP series suitable for cereal, cotton, sugar, vegetables and orchards. All are designed for rootbed renovation in most soil types and conditions. 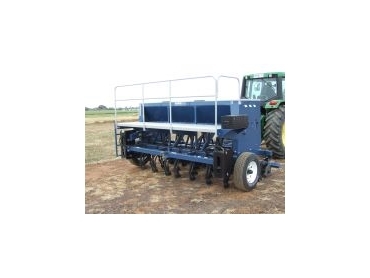 Other AGROPLOW soil care systems available include the Flexi Rollers, Bioplow, and Heaslip products.